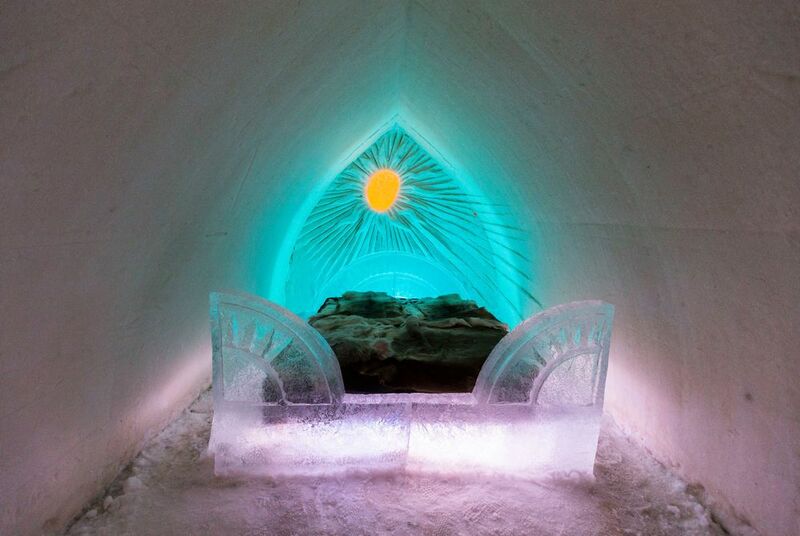 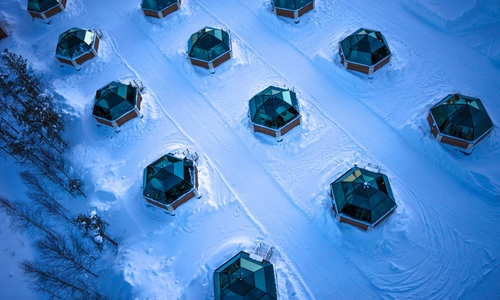 Hidden away in the frozen forests of Finnish Lapland, just a short hop from Rovaniemi, this unique hotel brings together two of Scandinavia’s true winter innovations – heated glass-domed igloos and the intricate carvings of a snow hotel. 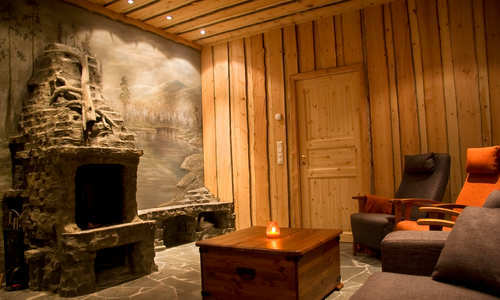 The hotel’s restaurants are a showcase for tasty, locally sourced food. 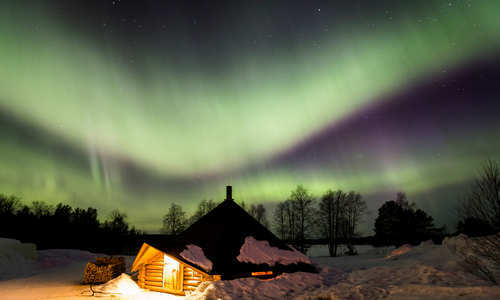 At the lakeside Kota Restaurant, delicious dinners might include mouthwatering glow-fried salmon or perhaps a juicy reindeer steak. 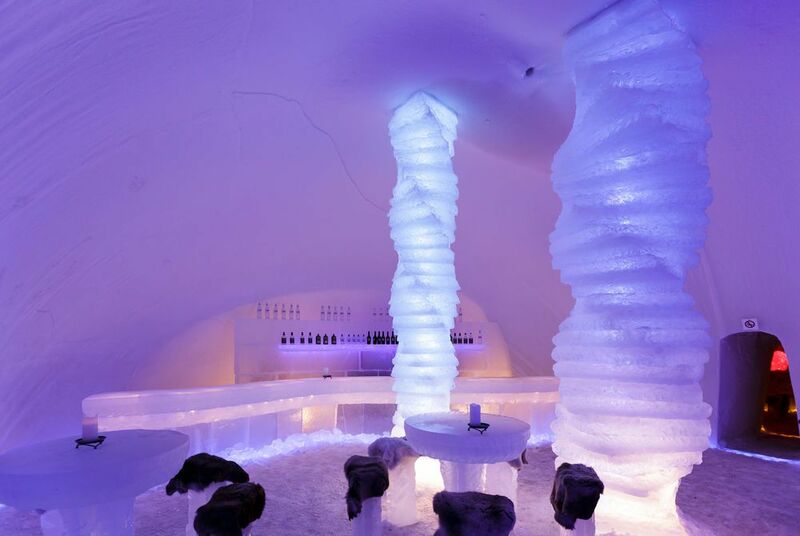 Or, perhaps head to the uniquely frozen surrounds of the Ice Restaurant to try the latest Lappish delicacies. 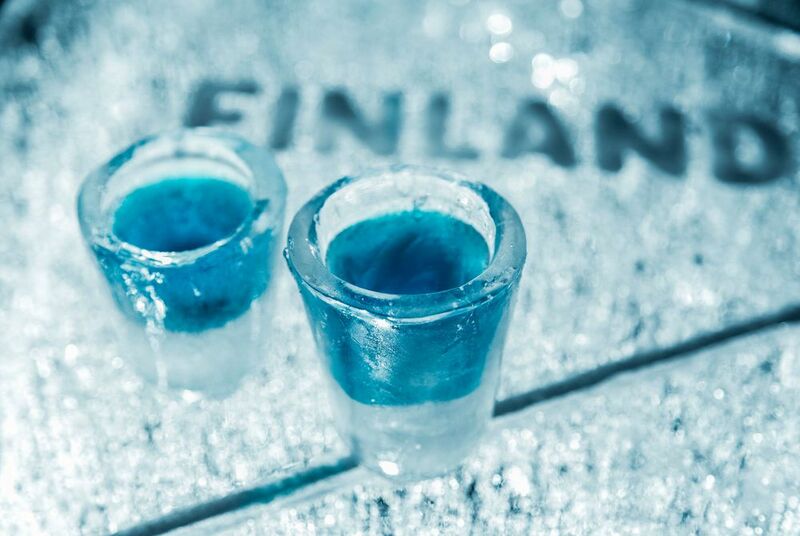 Whichever you choose, there’s no better way to round things off than with a drink at the Ice Bar. 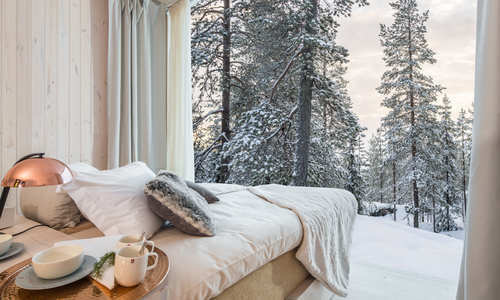 And, after nights spent gazing into space, enjoy a sumptuous buffet breakfast at the main lodge or, as an added indulgence, order your food in to enjoy the ultimate breakfast in bed. 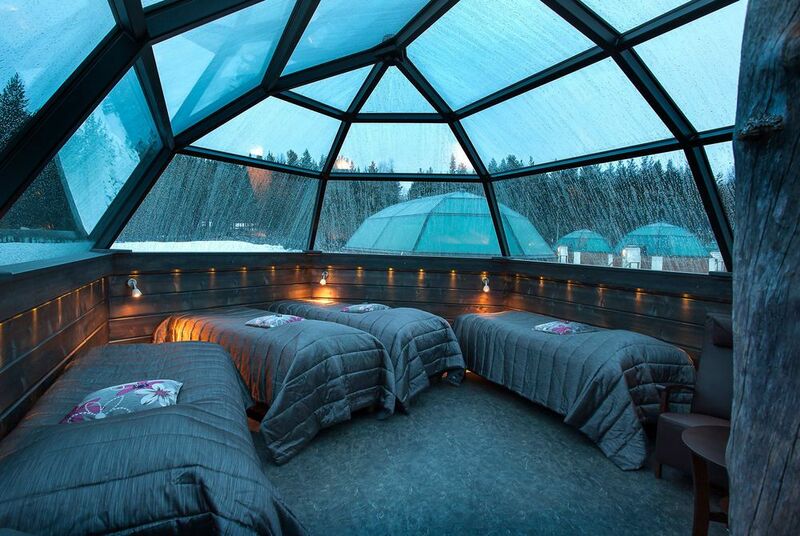 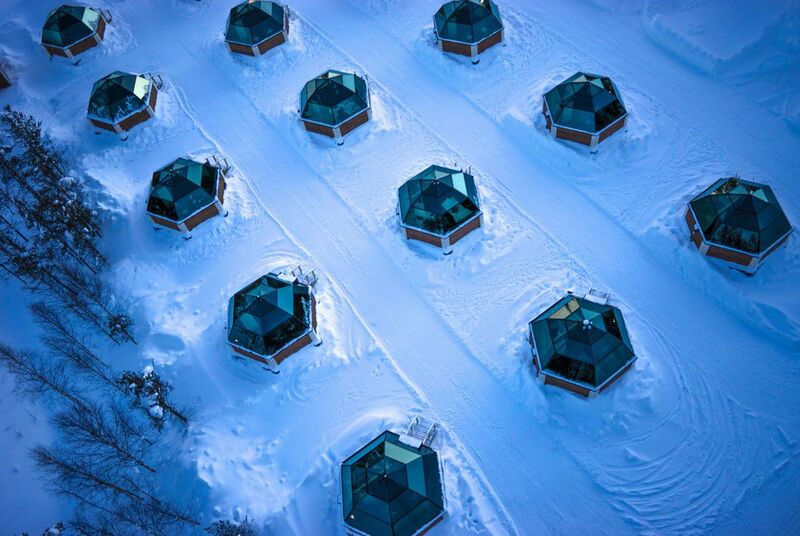 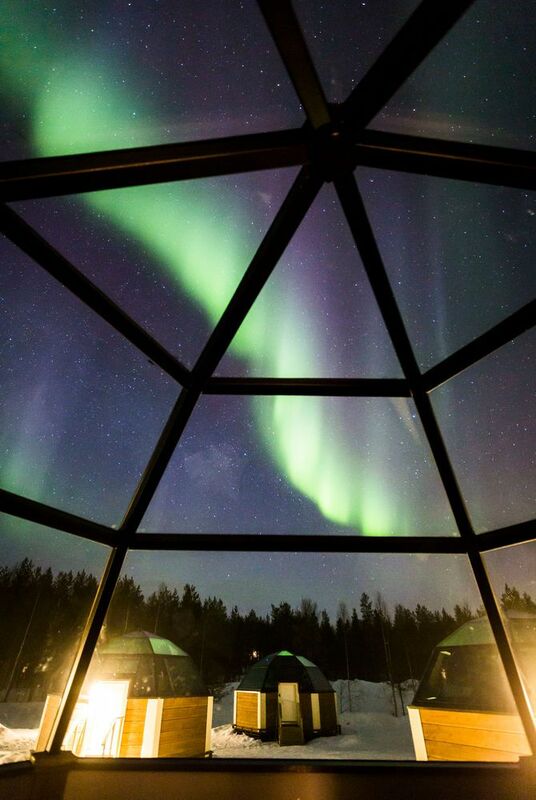 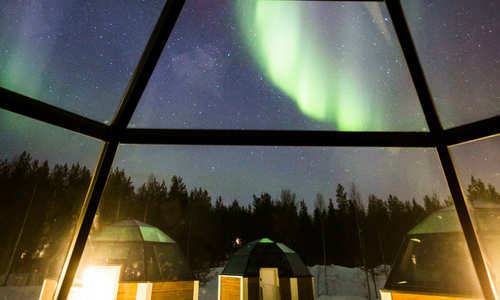 In the glass igloos, electrically heated roofs keep you cosy while inviting in views of the surrounding forests, the starry night sky and, if conditions are right, the Northern Lights. 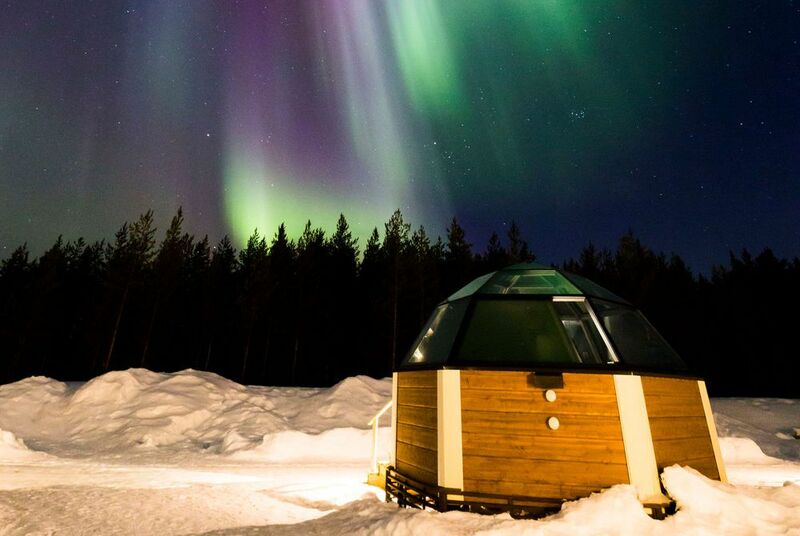 An aurora alarm can sound if the Lights appear to ensure you don’t miss a thing. 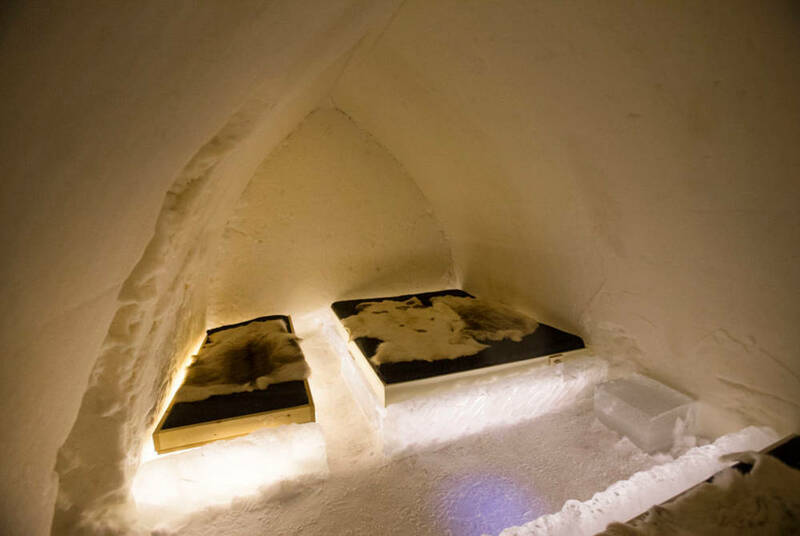 Each igloo has its own toilet and shower while provisions such as kettles, fridges and hairdryers add an extra layer of comfort. 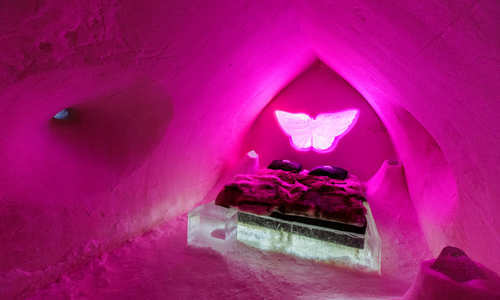 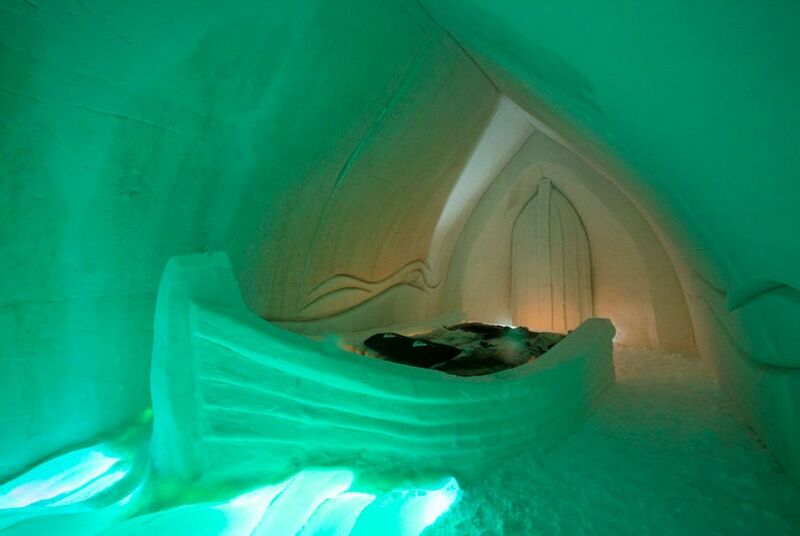 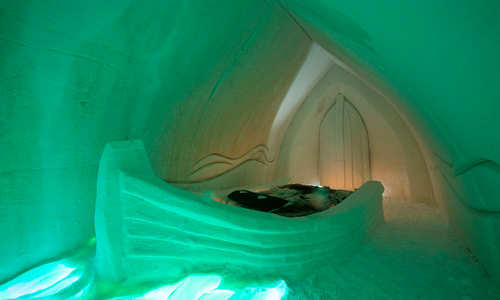 Meanwhile, over at the neighbouring SnowHotel, up to 70 guests can enjoy that most memorable of Scandinavian experiences – a night spent on a bed of ice. 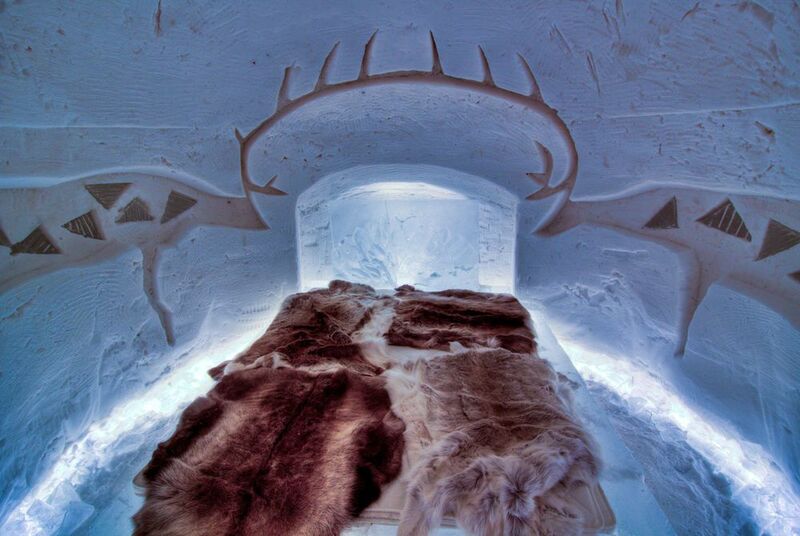 While temperatures hover between zero and minus five degrees, a combination of Arctic sleeping bags and reindeer furs are on hand to keep you warm. 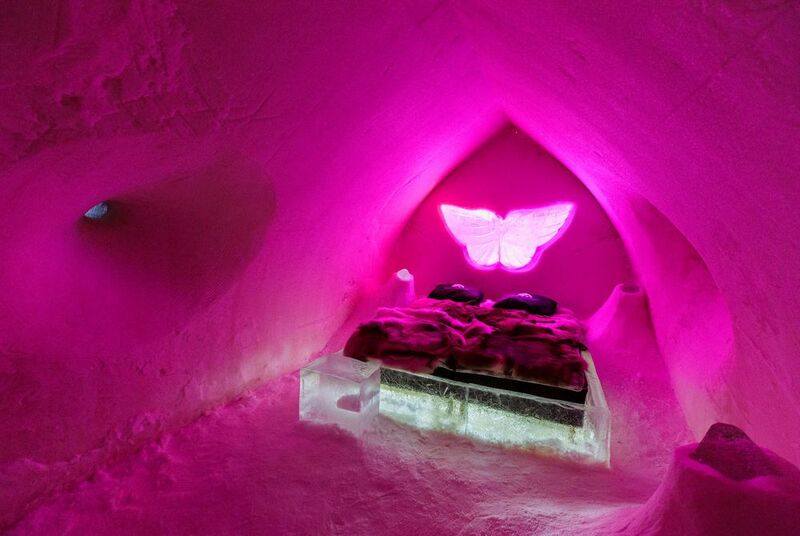 All the while, clever lighting brings to life the intricate carvings that are unique to each room. 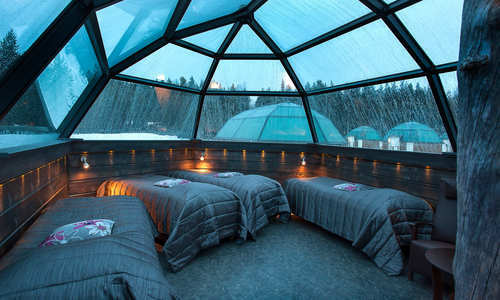 And, as with their glass igloo cousins, the aurora alarm will wake you when the time is right. 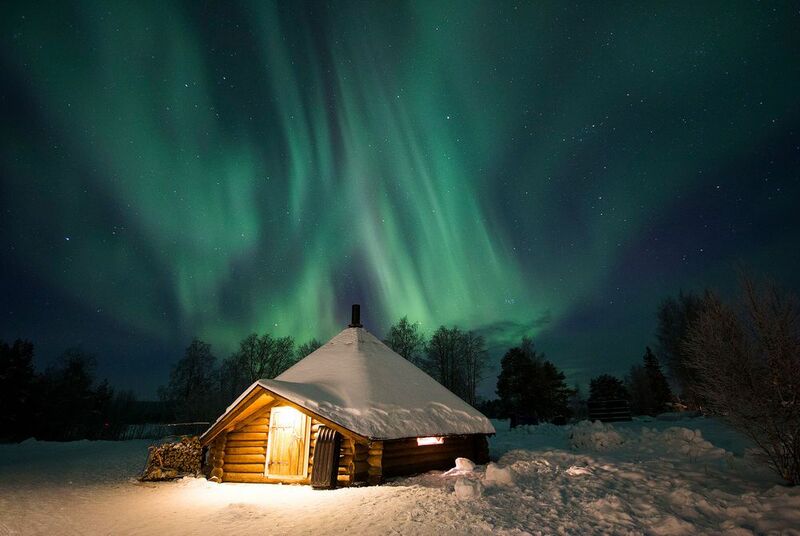 Days are spent exploring the snowy wilds on everything from guided snowshoe hikes to ice fishing adventures on next-door Lake Lehtojärvi. 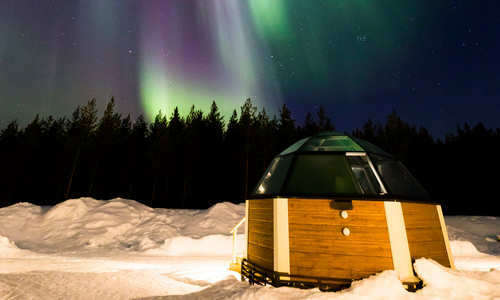 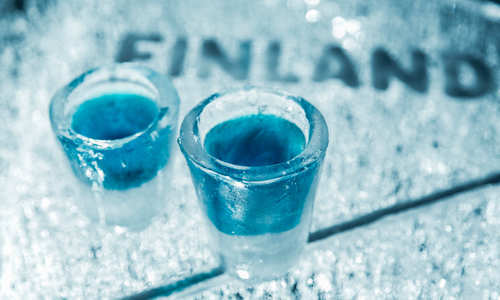 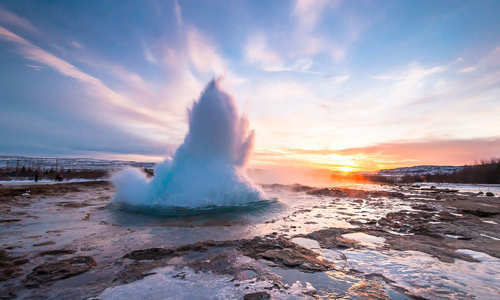 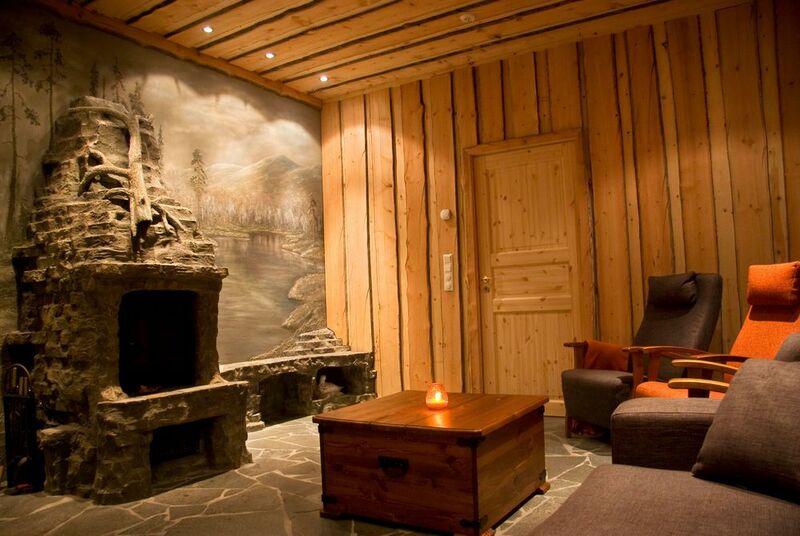 There’s also the chance to take things easy with the an outdoor Jacuzzi or the hot steam and icewall contrasts of the Snow Sauna – a new take on Finland’s favourite pastime.